The OnePlus 6 is truly a flagship killer, but that doesn't mean that it's perfect. One of the features that's missing from OnePlus's top-tier smartphone, but can already be found in other flagships available on the market, is the ability to charge it wirelessly. If you've read our full OnePlus 6 review, then you already know the smartphone does not come with wireless charging. Even though the back of the handset is glass-coated, a material that's perfectly fit for a device that includes this particular feature, OnePlus has decided to add wireless charging to the 6. 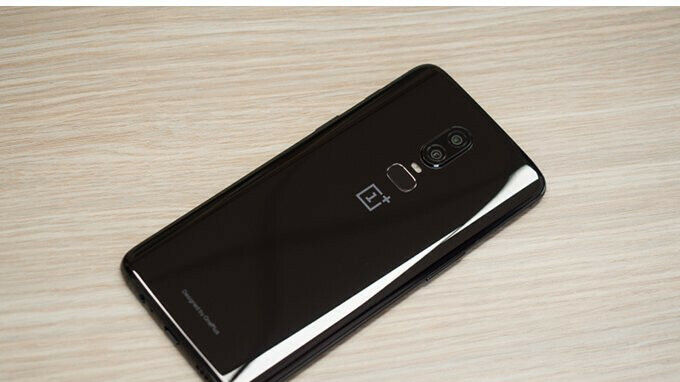 Asked about the reasons behind the decision, a OnePlus official said that the company did not feel that wireless charging would be suitable for the flagship, so it decided not to include it with the OnePlus 6. We don't really feel the need to add wireless charging. We're not going to add a feature just for the sake of it. Well, I guess that's as good an explanation as any, although there's probably more to it that OnePlus let it slip, such as the fact that the addition of wireless charging would have increased the phone's price and lower the profit margin. On top of that, OnePlus' Dash Charge is quite fast when it comes to charging, so OnePlus 6 owners might not feel the need for an extra charging option. Tbh I really don't see a point in adding Wireless Charging when you have one of the best Fast Charging systems out there. Thing is, when in at home, is like to just put my phone down on a, surface and let it charge and pluck it up when I want it. No need to fumble with cables. I don't need fast charging when I'm home. I'll get more use out of dash charging when I'm out and about. Wireless charging is like Amazon Echo to me, I don't need it but I like it and want it. To be honest, that seems like laziness with the way you put it. It doesn't take much just to plug in a phone. It's not about laziness its just more convenient.. I own 4 wireless charger around home,1 for car, and another 1 for workplace, all of them is free bonus (or almost free) from Samsung flagships, and it's just neat to drop it in pad whenever I don't use it, low battery isn't a thing after I start doing that. Just wait till you own smartphone with wireless charging and you'll realize that connecting charging cable is just unnecessary hindrance. No, but you can pick it up walk away, walk back and put it on the charger. Wireless charging is just great. You absolutely can. I do all the time whether it's on the desk charging or in the dock charging in the car. No problems. I knew someone was going to say this but worldpeace is right, its just more convenient. It's 2018 and most technology created today is to make life more convenient. I misspelled 'convenient' twice and auto correct fixed that for me. It's illegal to text and so auto makers created cars with software and hardware and tells you when you are leaving you lane and brakes for you so you so you don't rear end people. exactly, having owned three phones now that have had wireless charging (Lumias), i cannot live without it now.The negative comments about it are from people who have yet to experience it. I am expecting an article "Here is why OP6 costs 20 euros more, without bringing anything new to the game" OP is full of excuses about their failed decisions. The wireless charging kit would cost them 3-5 dollars to implement it, with no real effect to 4G reception. meh, i'm one with OP at this, wireless charging is just a gimmick that can potentially kill battery faster too. not yet reliable for true solution. dash charge otoh is the best solution. You are right on that one. Most people don't realise the biggest killer of a battery is heat and wireless charging creates a lot of heat. Dash charging creates quite a bit of heat as well but it's all contained in the charger itself and not in the phone. I disagree. Wireless charging may be slower than wired charging but it's definitely not a gimmick it's one of the best features a smartphone can have and I would go as far as to say an essential feature for today's smartphones. What's more convenient than just setting your phone down on a wireless charging pad and in a couple hrs getting a full charge? Wireless charging is getting faster and faster too and it saves on wear and tear on the phones USB port and is not harmful to your phone's battery at all. I only use fast charging if I'm in a hurry otherwise I wirelessly charge. If I were to pick between a headphone jack and wirekess charging I'd pick the former any day. It's because their saving it for the 6T which I bet will have wireless charging. complain about Huawei phones not having wireless charging (who were actually the first to reason that their fast charging makes the slow wireless charging meaningless) and than make dozen excuses for One plus not having wireless charging because of fanboyism.